When you are building the most energy efficient home in Florida, who do you hire to install the air conditioning system? Sean McCutcheon's Air Conditioning and Heating, Inc. is proud to have worked on the highest scoring new construction LEED platinum home ever built in Florida. The 'Power Haus' built by Josh Wynne Construction in Sarasota has achieved the lowest HERS rating on record in the U.S., a negative 22. To put this number into perspective, a HERS Index of 100 represents the energy use of the "American Standard Building" and an Index of 0 (zero) indicates that the Building uses no net purchased energy (a Zero Energy Building). In other words, the owners of this home actually get a check every month from the electric company because this house puts energy back into the grid. The "Power Haus" has a LEED score of 118, which is just shy of also becoming the highest scoring LEED home in the country by 1.5 points. (A residence in Chicago holds the highest known score at 119.5). In 2009 Sean McCutcheon's Air Conditioning and Heating also provided the HVAC System for the Codding Cottage in Sarasota which had a LEED score of 110. LEED (Leadership in Energy and Environmental Design) is an internationally-recognized green building certification system developed by the U.S. Green Building Council (USGBC). The 'Power Haus" has been certified as a Florida Water Star Gold Home. Florida green Building Coalition designated it as a Certified Green Home – Platinum certification score 255. And it is a certified green building from the NAHB Research Center – an Emerald level green home. Sean McCutcheon's Air Conditioning and Heating, Inc. installed a 21 SEER 2 speed Carrier Infinity HVAC system. This is the most advanced Air Conditioning system on the market. Since some of the duct work is visible, there was a high degree of skill and creativity required to make the system installation not only functional, but pleasing to the eye. 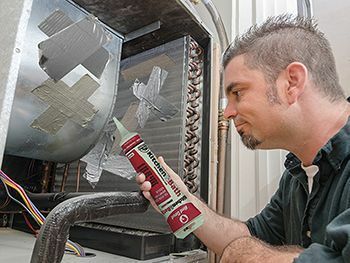 Sean McCutcheon's Air Conditioning and Heating, Inc. specializes in new installation, and they are also considered to be the experts when it comes to retrofitting systems. The home has many energy saving and high efficiency features including a 14.2-kilowatt photovoltaic array., Eternal gas tankless hybrid water heater, Energy Star appliances and 100% LED lighting. 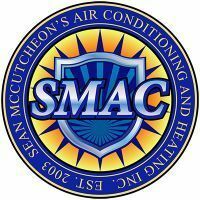 Sean McCutcheon's Air Conditioning and Heating is committed to promoting efficient and energy saving means of cooling and heating. Their goal is to educate their customers so they can make the best decisions. Bigger and more expensive is not always better, and Sean McCutcheon's Air Conditioning and Heating works with our customers to help them choose the best system for their home. Air Conditioning Tech Or Salesman? Thursday, 11 April 2019 Home Warranties: They sound like a good idea, but are they worth It? Thursday, 28 March 2019 Is Your AC Ready For The Summer?